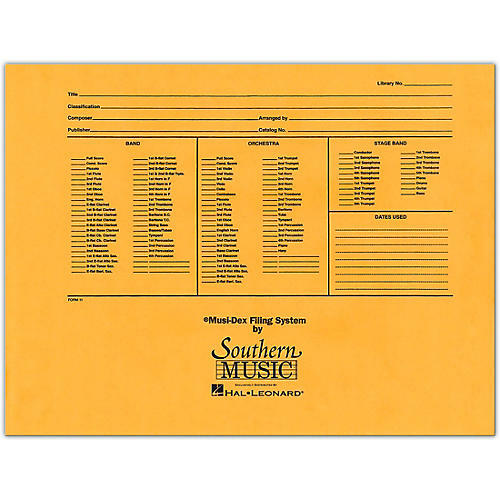 This 14.5-inch x 11-inch Kraft thumb-cut envelope is the ideal way to keep your band and orchestra library organized. Printed on the envelope are spaces for recording numbers of parts, title, composer and other essential information. Envelope opens on the side.